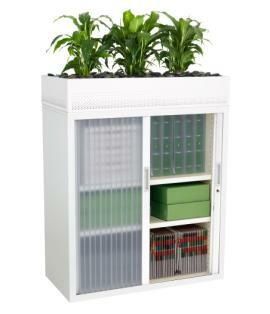 The Smartstore planter brings the beauty of nature into your working space. The planter is the perfect partner to the Smartstore G3 range so that you have the full benefits of working in a balanced environment without compromising storage. Every component has been designed to achieve maximum strength and rigidity. Suitable for pots with a diameter of 180mm - 230mm. Available in plain or perforated designs with carefully considered features so plant maintenance is a breeze.